You say that we give you hope for wanting to help the world. Well, I believe that the feeling is more than mutual. You’re a fount of inspiration for a lot of us, not only for what you have achieved as an author but how you’re using all that -let’s call them superpowers– to help the world. Then there’s Worldbuilders, and all that wonderful people behind it who are dedicating all their effort for a great cause. And finally, there’s all the people that come here wishing to help as much as they can. I cannot express with words what it means for me to be part of this comunity. To be able to help even if it’s just a little. And, above all, to watch so many people from all over the world working together to help the world. Thank you everybody, you make me proud of being human. Let’s change the world! The good kinds of Worldbuilders blogs tell us what we can get. The great kind tell us who we can be. 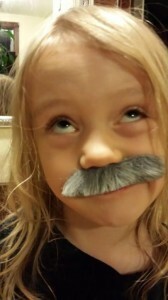 Oot’s rocking that mustache. 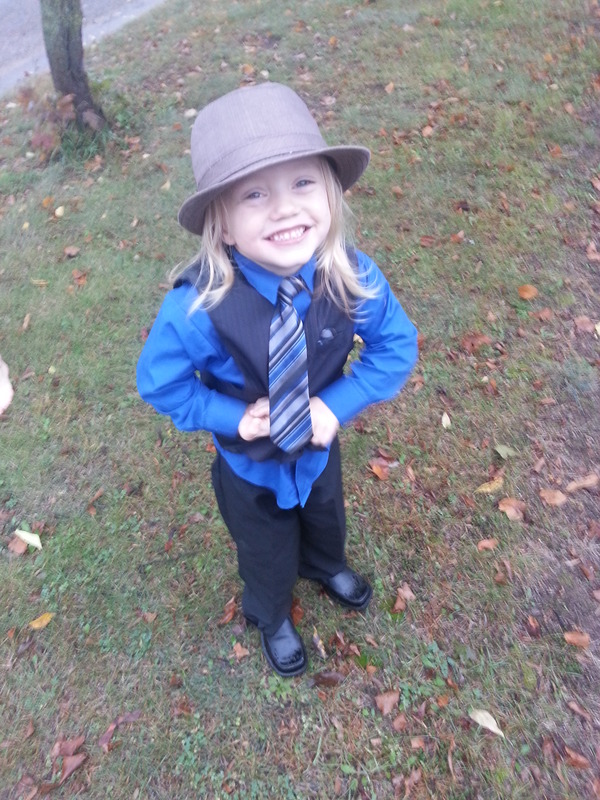 Also that fedora. I think they must be combined. Any chance of us getting another big book-bundle box… thing? I don’t remember if it was in the summer fundraiser or last holiday one, but I’ve bought them all and I loved them. Not during this fundraiser. We’ll be doing some during the next mid-season fundraiser though…. Not only am I impressed with how smart Oot is, but his attentiveness to you is amazing. What an amazing child you are raising. No wonder you weep. I love Oot. You’re teaching him important stuff early on in life. He’s probably going to end up founding his own charity one day, like the Wisconsin Harvest Ninja kid. I’d be crying at the end of that, too. Less serious: Your discussion with Oot about fertilizer reminds me of Terry Pratchett’s World of Poo. Also, I love your voice, and I’m glad you made the Auri audiobook. Oot is truly a wonderful child. This fundraiser gets me excited like almost no other event all year, I love it and I am so pleased at how much money you’ve raised! Damn you Rothfuss for making me cry like a baby. And for being so incredibly awesome that you make the rest of us look bad. Just stop being so freakin’ phenomenally wonderful. You are forcing me to up my game. See what you are doing to me here, Rothfuss?! I’d shake my fist at the sky but you aren’t God…yet. That is one sweet kid. Hug him for all of us. And by all means, find someone to teach him about gardening if that’s not in your own skill set. Growing food holds more opportunities to be fascinated and blown away than you can probably imagine. Thank you for sharing this moment with your son. It was incredibly touching and you both have done a wonderful job as parents. The widget is cool! And I love the Cowboy Bebop send off…. You made me aware of Heifer International and made me want to make it the official charity of my choice. But this year, with the change in the timing of the campaign, I find myself unable to donate at this time. I hit you last year, and enjoyed the summer fundraiser immensely. I promise you are not forgotten. I promise after the new year, a donation will come your way. I know you had your reasons for changing the time frame of the fundraiser, and I respect that. It just hit me at a bad time and I feel really bad watching all the hype and enjoying the stretch goals being hit and not being able to add to the fun. But, I will get you. I promise. Just when I can. No worries, Sandibd. I know where you’re coming from. Sandibd: This is really hard to explain not being a native speaker and all, but… I wish I could donate 10$ for you so you have at least one chance in the awesome lottery this year. I already donated 20$ this time, so I’m covered lottery-wise ;) It’s not like I am swimming in treasures right now, but I was penniless last summer and I know the feeling when you want to help and you can’t. Sandibd, I know you will reject this idea :D because that’s how we roll when we have no money, so I am asking Worldbuilders: is there any way I can donate and make it be credited to a person instead of a page? I would do this too. I owe the world a favor of this sort. And it’s Worldbuilders-related in fact. Can this happen, Pat? I think this would be a really cool thing. It could be set up anonymously. Each person who can’t donate could put their information in as a supporter, and spread word of the campaign and such supportive things. Each person who donates could select to have all or a portion of their donation go to the “supporters”, giving someone who can’t afford to donate a chance in the lottery. Only 4 days to go… I hope this thread doesn’t fall into oblivion among the piles of work they must be facing these days. It’s doable, just a little convoluted. You’ll need to put it in honor of sandibd when you make your donation. We’ll keep an eye out for those and then contact sandibd for shipping information if they win. Sound good? @sandibd, you effectively raised at least my 10$ for worldbuilders. Your participation in the lottery is earned and deserved, and I hope you win something cool. Also done! Good luck in the drawing, sandibd! And thanks, Amanda, for making this happen in the midst of everything. I’m sure you’ve got a million other details to attend to. You’re one more way that Worldbuilders rocks. 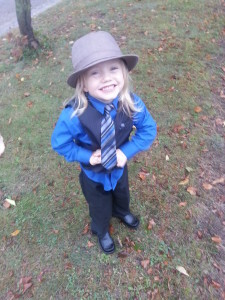 My daughter has raised money for charity in lieu of taking BDay presents each year since she turned 6 in kindergarten. That first year of being in school, we decided she could invite a big crowd of kids to her party, but we didn’t want them to bring presents. She loved the idea of a big party and didn’t need more “stuff” so everybody wins! Each year she selects a charity that goes along with her BDay theme. 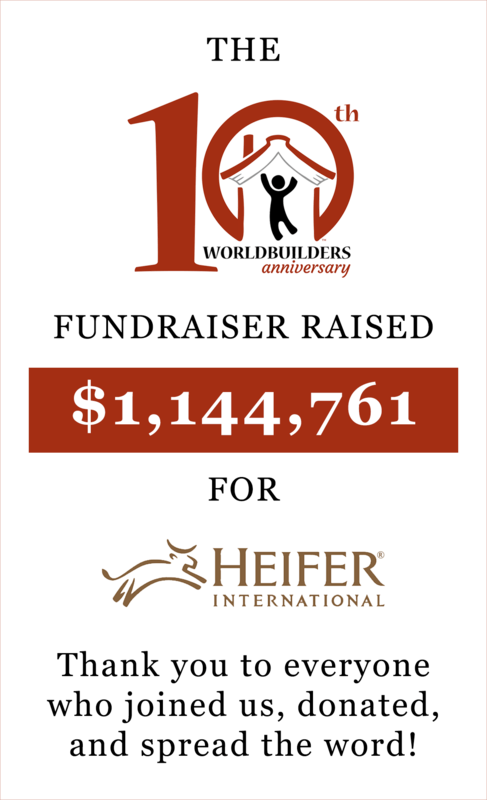 Heifer Intl was the first charity she supported, and she raised over $300. Another year it was World Wildlife Fund to match her safari party. Last year she raised funds for Doctors Without Borders to go along with her Dr Who party theme. So now for her 12th BDay, she need ideas for a good charity that would match up with a steampunk party. Any suggestions? I don’t really know a specific charity, but steampunk seems like it’d match well with a charity that supports underserved children in STEM education. I know a bunch of them exist, but I’m not familiar with the specifics of most of them. Oh, also, your daughter sounds awesome! Forgot to add that to the reply! She’ll be supporting Girls Who Code this time. Her bday is next month. We hope she can bring them lots of new supporters! I was crying watching that video of Oot. His words touched me more than anything else on your blog. I have two children of my own and seeing them do good and understand the simple idea that we do have a responsibility to care for our brothers and sisters all over the world is one of the best parts of being a parent. We all know that it isn’t right for some people to have in abundance while others live or even die in poverty. It just makes me feel better about my life and our world to know that people still care about other people. One of the greatest lessons from the Bible is the commandment to “love thy neighbor as thyself”. I think it’s the mark of true charity. I want to thank all the people at Worldbuilders and Pat for being a source of good for others to rally behind. Oot is so smart but I think his kind heart was even more amazing in that video. I completely understood why Pat started to cry. If someone donates $33 bucks, how many lottery entries do they get? Is the answer three? If so, I think your widget might be understating the odds. I was able to match the widget results by using the $426,114 dollars donated & 2,391 prizes from the worldbuilders page and a standard binomial distribution. This implicitly assumes that $426,114 will result in 42,611 entries, but the actual number of entries might be much lower if there are multiple people who donated in numbers not divisible by 10. And if the number of entries is lower, the odds are even better! I don’t want children, but if I did, I would want yours. Er, I mean… I’d want a kid like Oot. Your child is amazing! He is an inspiration to us all. I donate to worldbuilders every year from here in the UK, it finishes just before my sisters birthday so I hope to give her an awesome present, either a super cool book/prize or the joy of helping others. Well done, Pat and Sarah(?) I don’t recall your lady friend’s name. This young man understands what it’s all about: loving others and giving out of our abundance. This is a direct reflection of the same loving-kindness which inspired you to create Worldbuilders. I have been telling all of my friends about it and posting constantly. Everything about this is good. I am thinking about creating a team for next year’s fundraiser and helping out in a more significant way. Please, don’t ever slow down with this wonderful charity. Keep pushing for more impact. And consider doing a parenting course. I find myself fearful of the rising generation. Sadly, your son is a rare case. Your “change jar” story was one that has stuck with me… I think about it every now and again. I was thinking about it just the other week, when I brought in my change jar to do a little “matching donations” with my middle school EBD class as we were raising money for the food bank. 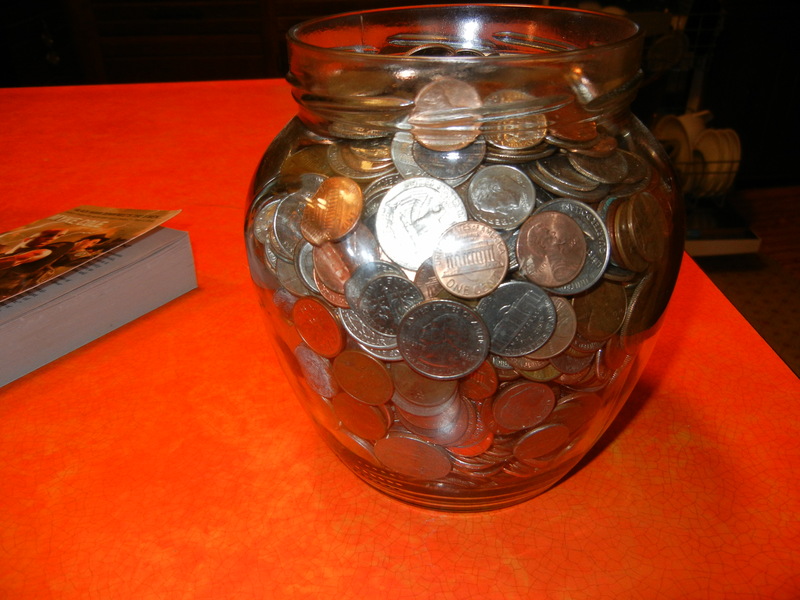 I realized for the first time I had quarters in my jar. It was almost a giddy feeling, and made me grateful that I have the ability to share what I have… with Worldbuilders and others. As for your Oot, he is quite the precious child. Thanks for sharing that… with what I see in the classroom on an almost daily basis sometimes I need a reminder that there are good, innocent children that have wonderful, caring parents. Oot uses”and so on”? Correctly?! I do believe he has won the internet today. Reading that first paragraph made me laugh. When I first started reading the blog I didn’t realize that this was the case and was horrified because I thought you had actually named your child “Oot”. I didn’t find out what was really going on until months later as I was perusing the archives. Pretty funny. Thank you for sharing that beautiful moment with us. Made me cry, too. You’re doing amazingly with Oot, and I’m sure Cutie Snoo will likewise turn out to be a wonderful person. You’re a good man, Charlie Brown. For my birthday this year, my five year old daughter gave me a $1 coin she got from the tooth fairy (one of three so far). I thanked her and asked her what I should do with it. She thought about it and decided I should send it in to Worldbuilders to Help Buy Goats and Ducks. I love this! I just watched the unedited version and got a lump in my throat just now. It must be so gratifying to have you’re own child say these things un-led. The part when he comes out with the cow idea is my favourite bit. One day when I do have children I hope I can do as good a job raising them as Pat has here. It does make me wonder if the human base line is like how Oot is thinking now and if we get influenced by bad external factors. Glad I saw this, it makes you feel warm and fuzzy inside, like eating a light bulb without the medical complications. your kid is so adorable and smart. Honestly, you have restored my faith that is possible to raise an amazing child these days… I have younger cousins and sometimes they frustrate my desire to be a mom. Whenever the world feels hopeless I shall watch the video of Oot. What a beautiful, thoughtful, delightful young man you have there. I get the tears of pride thing, I really do. My five year old, who is known on the internet as Nerdbaby, and I were doing our grocery shopping and there were volenteers from the local food bank taking donations. They had little flyers with all the things they were most looking to get. Nerdbaby wanted to buy ALL the things on the list and told me he would not get LEGO that time so we could afford it. He did finally understand that it would cost more than a minifig that he wanted, and he was happy to pick out Spiderman bodywash and toothpaste to donate to the foodbank. “Because Spiderman is cool, and I have LOTS of Spiderman, so, I will give this.” Yep, big weepy mess time for Mommy. What a sweet young man you have there. If only there was a way to teach all the youngsters these important lessons of the benefits of giving as opposed to receiving this would be a really wonderful place someday. Thanks for sharing (I cried with you).